Black Uniform plain polo T shirt as always is the most hot cake selling item at RSM Uniforms. The black color suits most of the professions and business units and in case you have that mental block that black can do blunder or is not a appropriate color for uniforms please go ahead with this color as black color can create a magic that no other colors could. For your requirement of Uniform Polo T shirt in different GSM and colors call us now at 9176634635. Happy to help you. Uniform T shirt made from 100 percent cotton material can be made with logo printed as well as embroidered at Rsm Uniforms. The color of the above T shirt is Dark Navy blue color made from 100 percent Cotton material of weight 240 gsm. The Tshirt has an embroidery of logo done on chest and also on the sleeves. The brand logo is printed on back side with a very good quality of printing done. There is a contrast color of piping provided on sleeve, collar and button front. Show us an image of the Tshirt you want and we would produce the same stuff fo you if sufficient time is given for sampling. For your requirement of customized t shirt get in touch with us at 044 4232 6319. We would be glad to help you. Uniform T shirt with embroidery – Polo type !! RSM Uniforms is a well known name when it comes to uniform T shirts in Chennai. 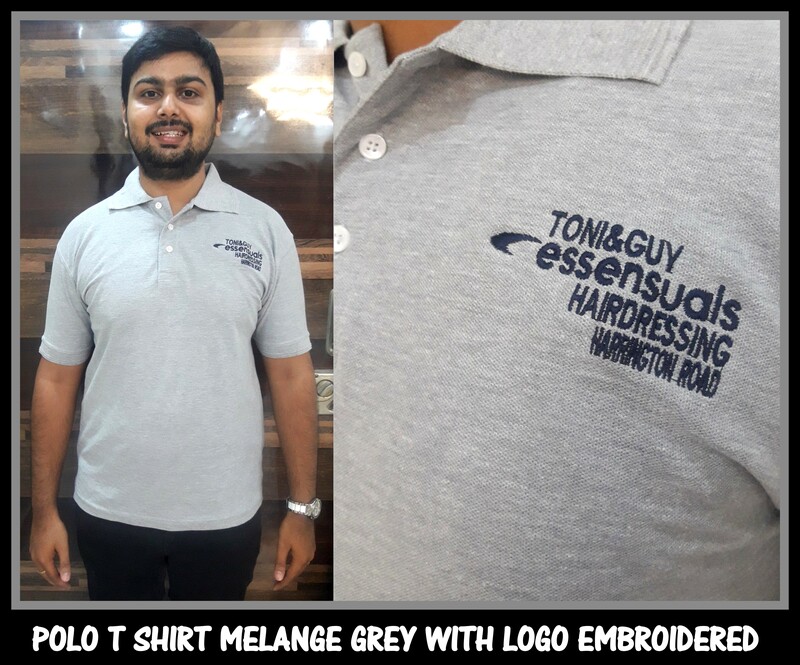 Grey Melange remains my favorite color in 100 percent cotton category as it looks even better with every wash.
Are you in need of plain solid color T shirts with embroidery of your brand. Call us now at 9176 634 635 and we would be happy to help you. 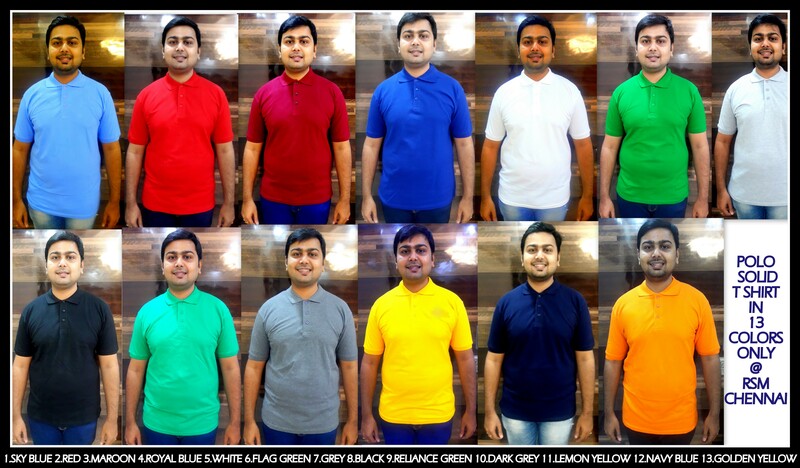 We at RSM Uniforms now have readymade polo t shirts available in thirteen different colors. These Polo T shirts are made from 100 percent cotton material and are very comfortable to wear. These Polo T shirts are available in four different sizes S,M,L and XL. Grab your plain polo T shirt now. Order us in bulk by calling 9176 634 635. Your brand logo will be embroidered too. We would be glad to help you. 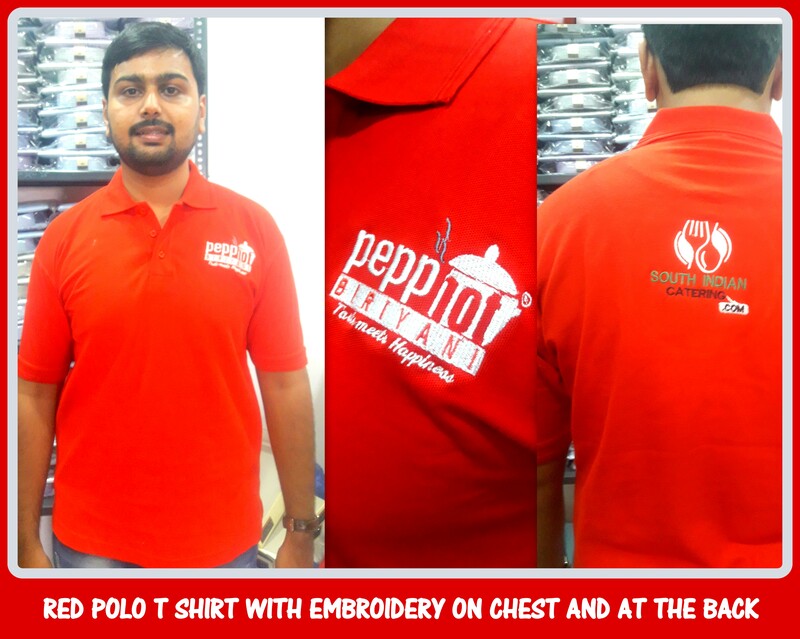 Polo Uniform T shirt manufacturers in Chennai !! Polo T shirt of decent quality made from 100 percent cotton material in 10 different colors are readily available in five different sizes S M L XL and XXL. These T shirt can withstand atleast 180 washes and is very comfortable to wear. Do you have a requirement of T shirt for your upcoming event call us now at 9176 634 635. You can also fill in enquiry form on our website http://www.chennaiuniform.com. T shirt – Polo type with embroidered logo !! 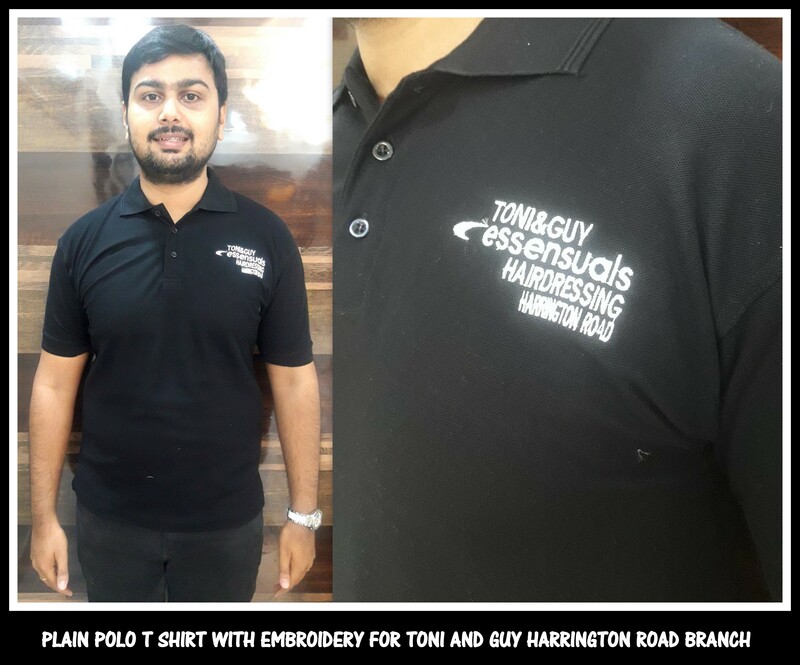 Black polo T shirt in different sizes made for Toni and Guy Harrington road branch. There was a specific request of Extra small size and that was manufactured specially for them. For your requirement of plain polo t shirt with embroidery done get in touch with us now. No matter what the quantity is we will be happy to help you. 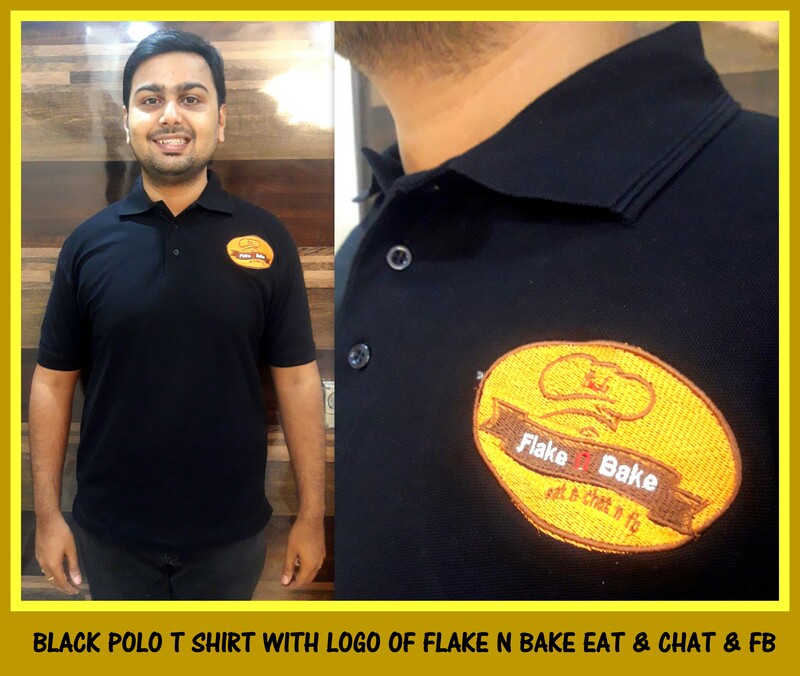 Black T shirt Polo type with embroidery for a bakery outlet !! 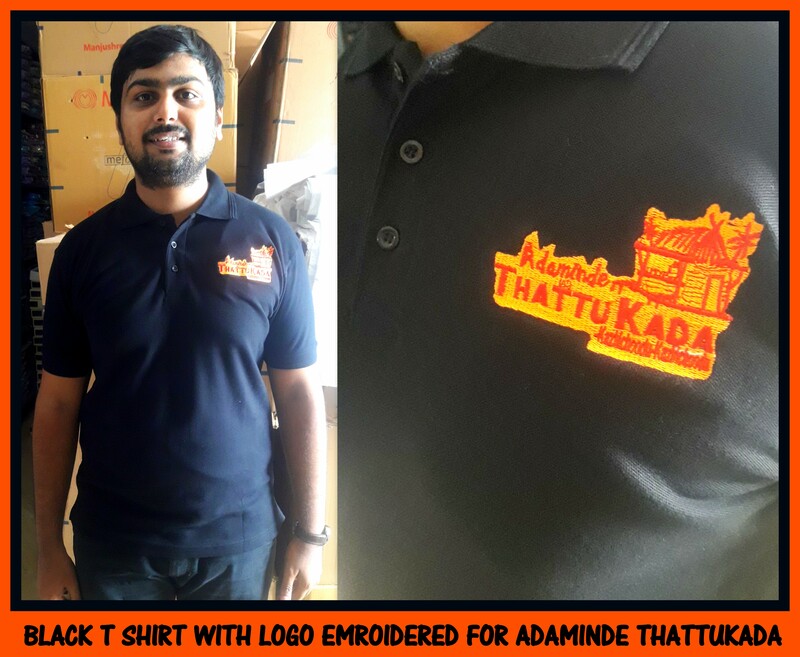 Here is a black polo T shirt with embroidery on chest for a bakery chain in Chennai. Reason to choose black is because it goes well with anything. The quality of T shirt used is heavy with barudan machine used for embroidery. For your requirement of Uniform T shirts of plain polo type call us now at 9176 634 635 and we would be glad to assist you.